Home Page | Lung & Sleep Center, P.C. Sleep Services provided at Lung and Sleep Center, P.C. include the outpatient evaluation for adult patients with any of the common complaints such as excessive daytime sleepiness/fatigue, unrefreshing sleep, and snoring. As well as the evaluation and treatment of sleep disorders, such as obstructive and central sleep apnea, Pickwickian syndrome, insomnia, restless legs syndrome, narcolepsy, circadian rhythm disorders (shift work & jet lag), parasomnias, bruxism, and the sleep manifestation of medical and psychiatric disorders. Come in for an initial consultation today to see how we can help you. A pulmonary function test is a simple and completely painless test performed here in our facility. The test takes on an average of 25 to 30 minutes and involves a series of breathing exercises designed to measure lung capacity. Many lung diseases such as asthma, COPD, and pulmonary fibrosis are associated with characteristic patterns of abnormality on the pulmonary function test. In the past most lung diseases required a biopsy, the vast majority of lung diseases now can be properly diagnosed by careful history, physical examination, testing of pulmonary function, and interpreting chest x-rays and other radiographs. If you're tired of being tired, experience decreased work efficiency, as well as mood changes, lack of energy and the inabilty to concentrate, you are not alone. Millions of Americans experience these signs and symptoms daily, which could indicate a sleep disorder. Health risks such as, fatigue, impaired thinking, cardiovascular diseases, and matabolic changes are directly related to sleep disorders. Our team of highly qualified sleep disorder professionals can evaluate and treat the full range of sleep disorders. Our experts include board-certified sleep and lung physicians, registered respiratory therapists, registered technologists and technicians. Together, they offer you and your loved ones over 100 years of combined experience in medicine. Credentials and experience are not all we have to offer. Our personalized care and compassion are second to none. From your very first visit, you'll be treated like a valued friend. And you'll feel confident knowing that Lung and Sleep Center, P.C. is trusted bye other doctors, their patients and their families. Come and discover how we can help you and your loved ones capture the secret to a healthier, more productive life. Which starts with a good nights sleep and easy breathing. 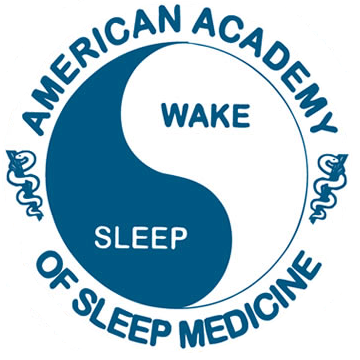 Lung and Sleep Center is accredited by the American Academy of Sleep Medicine. We insure advanced sleep treatments by meeting all federal, state and local regulations pertaining to operating a medical practice. We are dedicated to providing effective sleep treatments and are firmly committed to following the Code of Medical Ethics of the American Medical Association. We look forward to helping you.